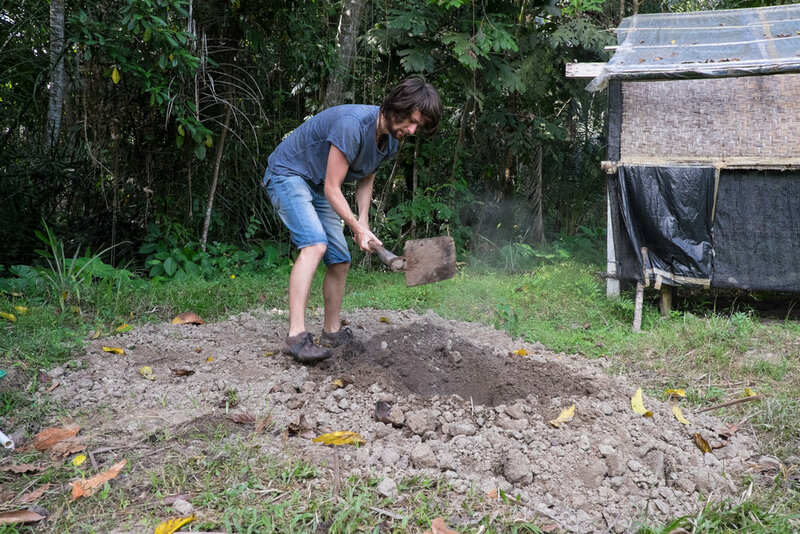 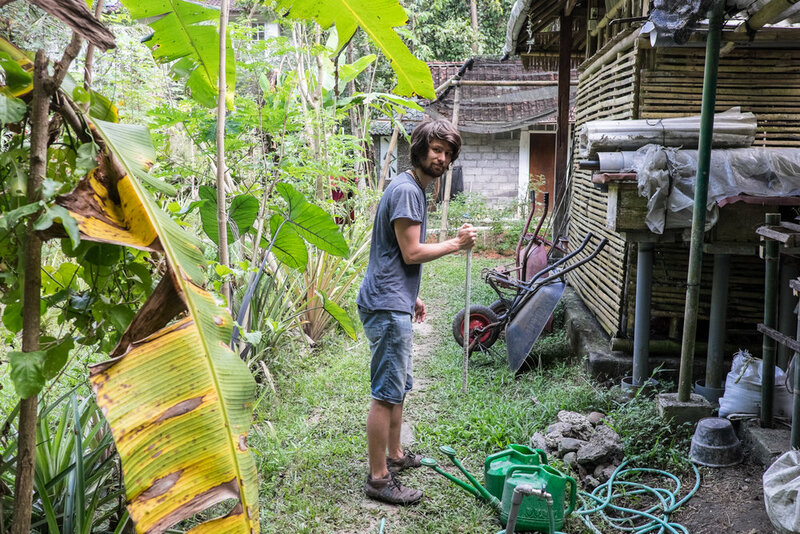 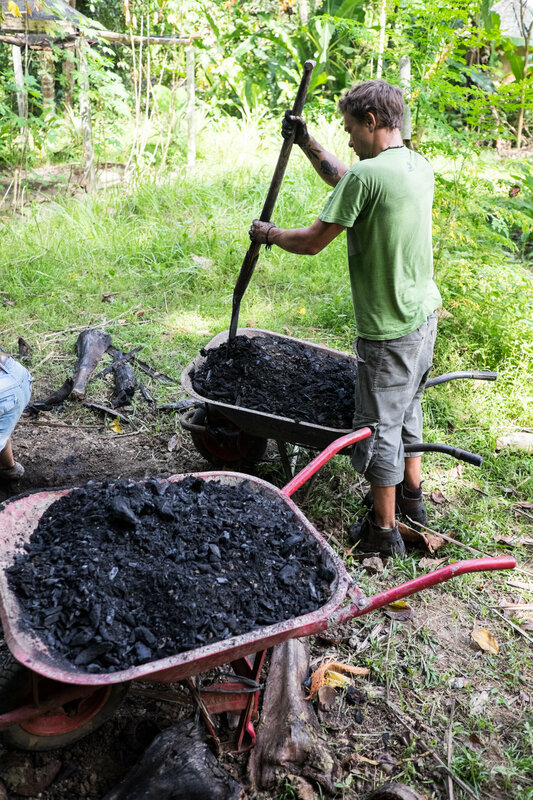 Ella, our Croatian volunteer and Phillipe our German volunteer, are recovering here the charcoal products after a 3 day burning in the ground, The materials burnt were mainly coconut shells. 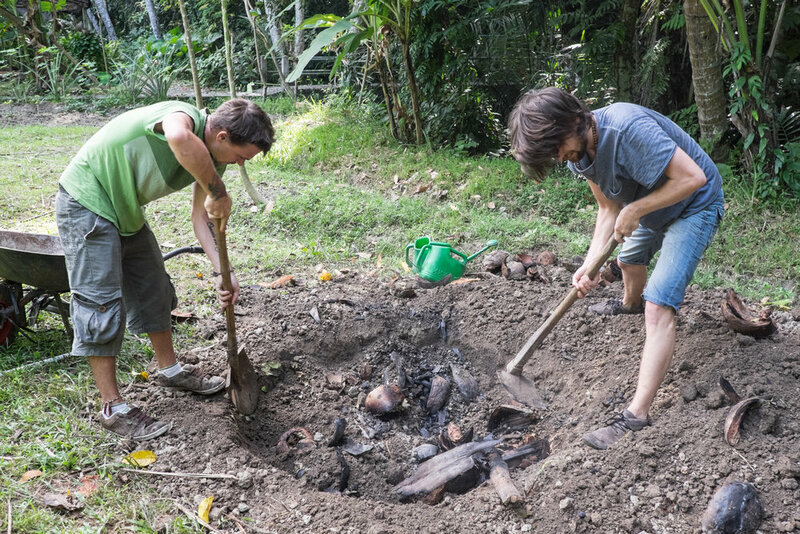 After digging a deep hole, the coconut fire was lit in the pit and brought to a high fire. 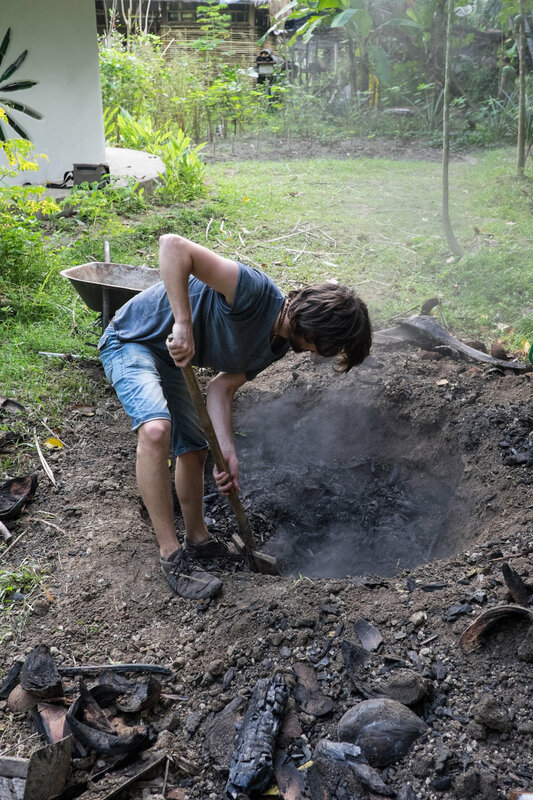 Then the pit was covered with earth for 3 days. 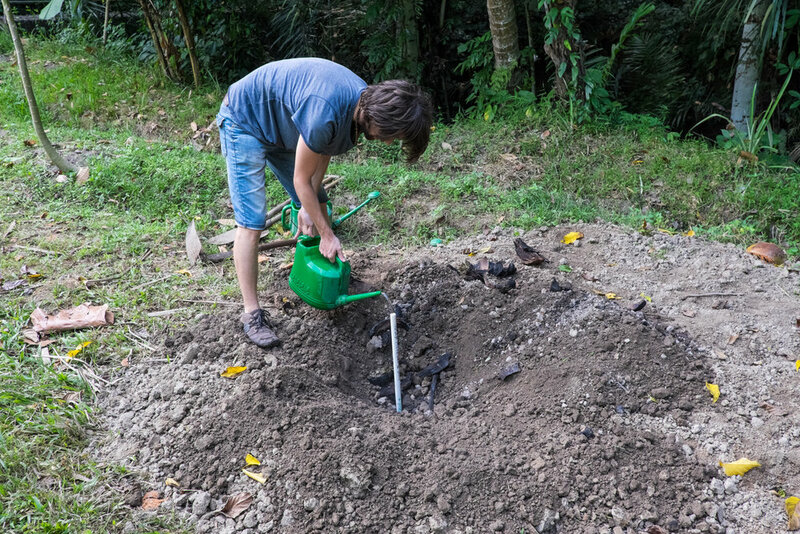 What you see is the result of a charcoaled coconuts which are extremely beneficial to be mixed with the earth to grow plants in.